The package has been exclusively designed by our team of professionals. It is dedicated to offer convenient full day trip to Visakhapatnam for local city uses such as sightseeing, attending meetings, shopping, seminars, visiting hospitals, and a lot more. 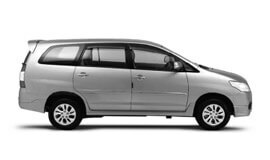 Also referred to as a mini package, our customers can avail this service for all kinds of local city tour usages include Airport Transfer in Visakhapatnam, Car rental service for Marriage, party and event, Corporate Cab Rental in Visakhapatnam, Railway Transfer, visiting hospitals and a lot more. The pickup and drop facility cab be availed from one destination as per your needs and budget. Airport pickups and drops, hotels pickups and drops, railway station pickups and drops, and bus stand pickups and drops are some of the services offered here. We specialise in offering super advanced and effectively equipped outstation travel packages for Visakhapatnam city visitors. Here, we offer you the best choices taking into account your precise needs. With us, you can book the outstation travel package one for trip with friends, excursions, weekend getaways, and family leisure trip outside the city limits. Looking for a to and fro service to Visakhapatnam? Our round trip hire service will make for the perfect choice. It is available for multiple cities from Visakhapatnam. Our one way drop taxi service is offered to desired destinations from Visakhapatnam as the starting point. For visiting many cities within a given point of time, rely on our steadfast multi city travel hire service. We guarantee the best car rental services in Visakhapatnam at highly affordable prices. Visakhapatnam has a tropical savanna climate that changes a little in temperature all through the year. During summer, (March to June), one can experience scorching heat with mercury level that may soar beyond 33 °C. During monsoon, Visakhapatnam receives heavy showers. Winter (December to February) Visakhapatnam is cooler as compared to the rest of the year. As per official census report for the year 2011, Visakhapatnam has a population of 1,730,320 residents. The economy of Vishakhapatnam is contributed by a local fishing communities, the Visakhapatnam Steel Plant, Hindustan Petroleum, two N.T.P.C. power plants, headquarters of the Dredging Corporation of India, Shipping canal, mineral exports, information technology, 102 small and medium software and call-centre companies, and developing film industry. Vishakhapatnam, the coastal, port city is also referred to as "The Jewel of the East Coast". It is exquisitely located on the eastern shore of India. The city is panoramically nestled among the Eastern Ghats hills and ranked as the second largest city in the state of Andhra Pradesh. Besides being a port city, Vishakhapatnam is also home to many impressive tourist locations including Ramakrishna Beach, Kali Temple, Visakha Museum, Victory at Sea, VUDA Park, Rushikonda, Kambalakonda Reserve Forest, Kailasagiri, Indira Gandhi Zoological Park, Port, Simhachalam, Araku Valley, Borra Caves, Anantagiri, Bheemunipatnam, Shivajipalem Park, Mangamaripeta Beach (Creek), Dolphin's Nose, Ross Hill, Darga Konda, Sri Venkateswara Swamy Konda, Fishing Harbour, Yarada Beach and Valley, Gangavaram Beach, Paderu, Mudasarlova Water Works and Park, VUDA Children's Theatre, and Kondakarla Ava.